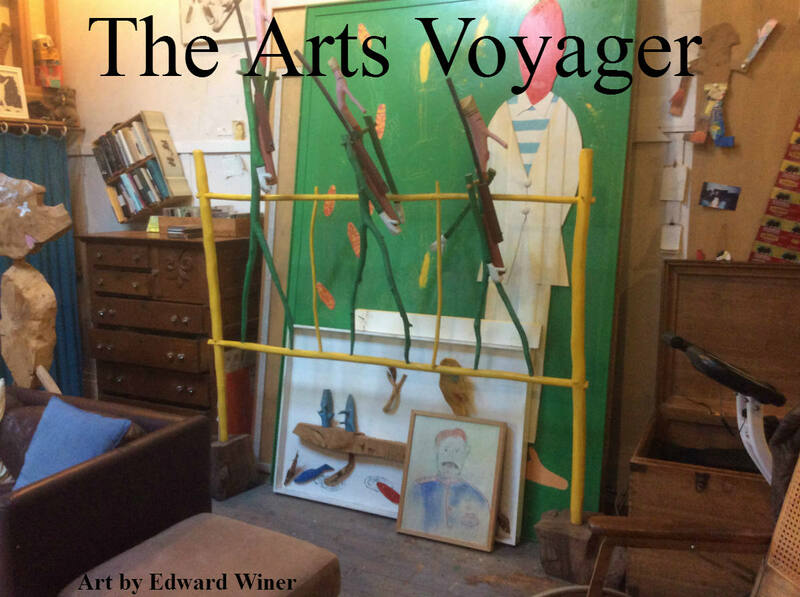 As of January 1, 2017, new Arts Voyager articles and art will be made available exclusively to subscribers and delivered via e-mail. Not a subscriber? 1-year subscriptions are just $49.99 or Euros, or $24.99 or Euros for students and unemployed or under-employed artists. Just designate your PayPal payment in that amount to paulbenitzak@gmail.com , or write us at that address for information on how to pay by check. Georges Papazoff (1894-1972), “Tete,” circa 1928. Oil on canvas, 92 x 73 cm (36 1/4 x 28 3/4 inches). Signed at lower left. Pre-dates by 17 years Duchamp’s intergallactic View cover. Artcurial pre-sale estimate 20,000 – 30,000 Euros. Image copyright and courtesy Artcurial. Ferdinand du Puigaudeau (1864-1930), “Jeune fille à la bougie,” 1891. Oil on thin cardboard laid down on canvas, 50 x 72 cm (19 3/4 x 28 3/8 inches). Signed and dated lower right. Du Puigaudeau landscapes available in this auction are also breathtaking. Artcurial pre-sale estimate: 20,000 – 30,000 Euros. Image copyright and courtesy Artcurial. As my longtime readers know, even if Artcurial may be best known as France’s leading auction house, I venerate it as setting a curatorial example more museums would do well to follow. Not just because of its storied past as an art gallery which unabashedly announced its arrival in the mid-sixties, under the glamorous patronage of L’Oreal, in the previously hushed gallery ghetto of Paris’s 8eme arrondissement, but because of the artists I’ve been able to discover by thumbing through its auction catalogs, many of whom have been neglected by museums which have stashed their holdings away in the basement…. To access the full version of the article and more images, subscribers please e-mail paulbenitzak@gmail.com . Not a subscriber? 1-year subscriptions are just $49, or $25 for students and unemployed artists. Just designate your PayPal payment in that amount to paulbenitzak@gmail.com , or write us at that address for information on how to pay by check or in Euros or British pounds. To access the rest of the article, subscribers please e-mail paulbenitzak@gmail.com . Not a subscriber? 1-year subscriptions are just $49 or Euros, or $25 or Euros for students and unemployed artists. Just designate your PayPal payment in that amount to paulbenitzak@gmail.com , or write us at that address for information on how to pay by check or in British pounds.